The Author's Attic - A Novel Approach to Jewelry The Author's Attic - A Novel Approach to Jewelry! 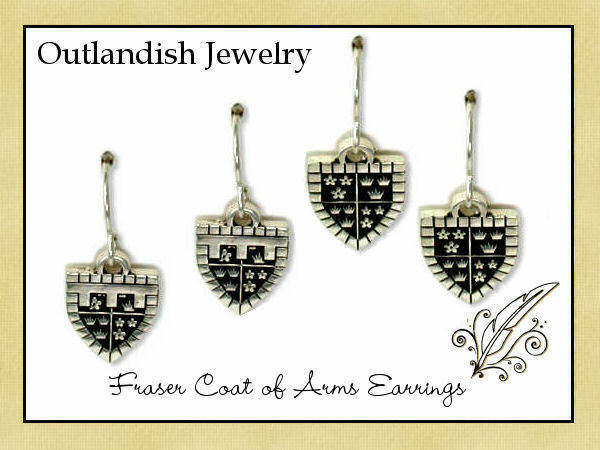 As a verra long time fan of Diana Gabaldon, I was captivated by the jewelry in her incredible stories of Claire and Jamie Fraser, with permission from Diana herself, I was given permission to create some of the jewelry from the novels. 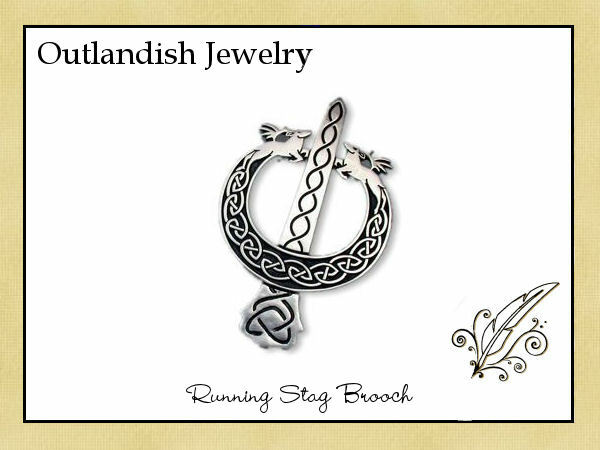 We offer Claire's Ring, the bracelet Roger gave to Brianna, and our version of Jamie's Running Stag Brooch! 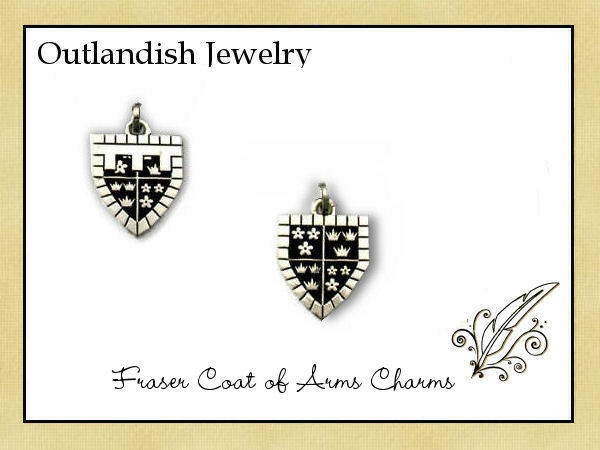 Celtic thistle bracelets and earrings with the Claire's Ring design as pictured in The Outlandish Companion. 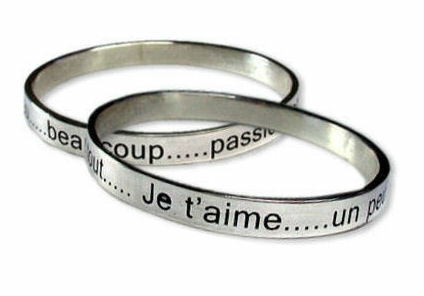 "Da Mi Basia Mille" cuffs, pendants, bangles are also available! And, dinna forget James Alexander Malcom MacKenzie Fraser's Coat of Arms. 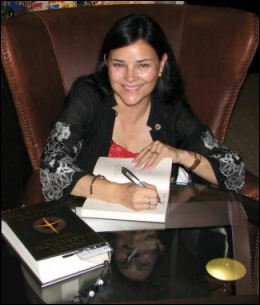 Most every bio of Diana will mention that she has a PhD, that she use to write comic books for Disney, or that she is a New York Times Best Selling author. What some bios might miss is that she is incredibly generous, she never takes a bad picture, and the most important ...she laughs at my jokes! Has it's own website and can be ordered there. 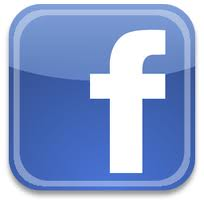 If you would like to combine orders, just put what you would like in the "comments" section of either order form. The Latin verse Da Mi Basia Mille from the Catullus poem which is engraved inside Claire's Ring on a variety of items just as beautiful as the poem itself. 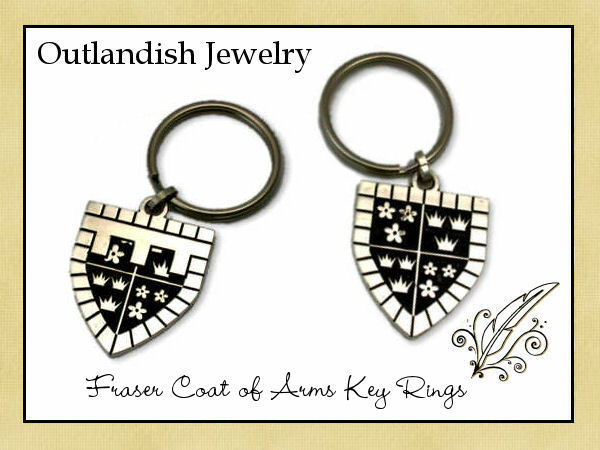 Inspired by the indescribable novels of the "Outlander" Series are miniaturized into adorable charms! Available in a solid metal 3D version and a lighter flat version. 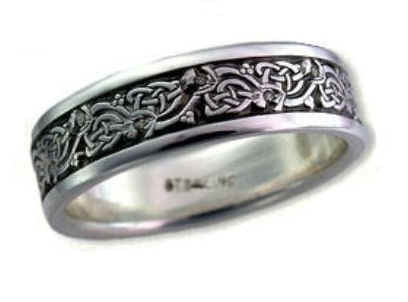 A collection of pieces with the same intricate Highland Celtic thistle pattern that was used for Claire's ring from The Outlandish Companion. Let your Celtic fancies take wing with this one of kind dragonfly with Celtic knot work from antennae to tail. Books are produced by the thousands, however your custom jewelry from The Author's Attic at deSignet is made one by one just for you! 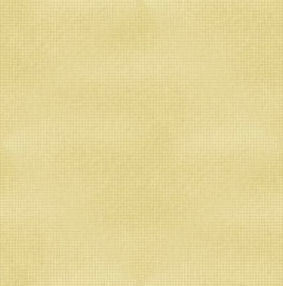 We sincerely hope your pieces will be loved and treasured just like the words in your favorite books. 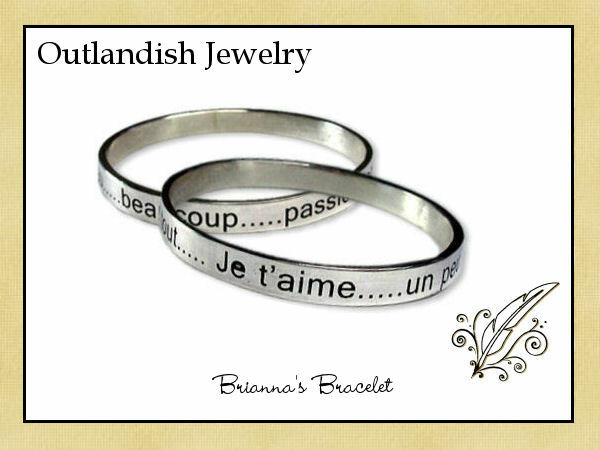 The simple bangle bracelet Roger gives to Brianna in Chapter 18 of "Drums of Autumn." Brianna's bracelet was inspired by one of Diana's very own bracelets bought on a trip to Paris. 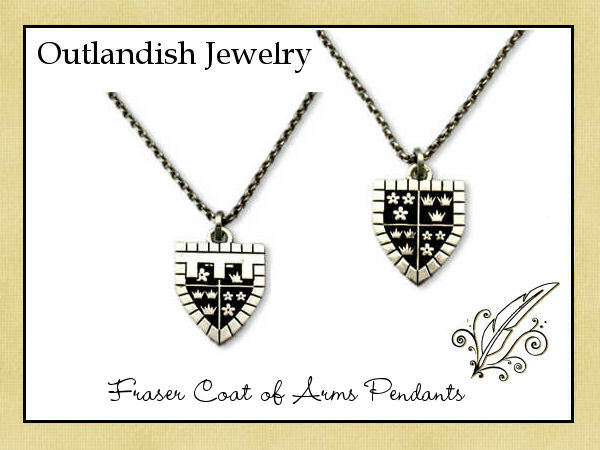 Inspired by the cover of "The Fiery Cross"
As described in "The Outlandish Companion" The crest on the left with the bar across it, represents James Fraser's crest when his father Brian was alive. The crest on the right with no bar, represents James Fraser's crest when his father deceased. "Reaching, he took the package from my lap and tore away the wrapping, revealing a wide silver band, decorated in the Highland interlace style, a small and delicate Jacobean thistle bloom carved in the the center of each link." 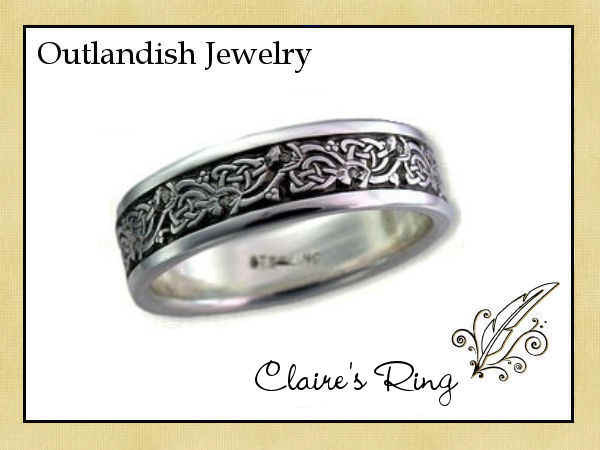 Claire's Ring is only listed here for convenience of ordering, it has it's own website since there is no profit made by me on the rings, it's truly for the fans. 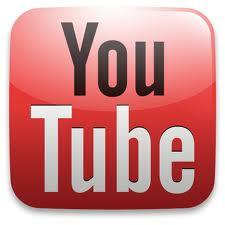 The jeweler makes a smaller profit on it also to keep the price down. QUESTIONS! 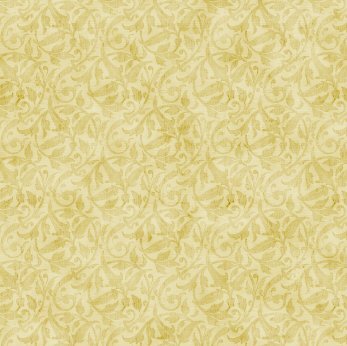 GOLD PRICING, ANTIQUING, IT'S ALL HERE!